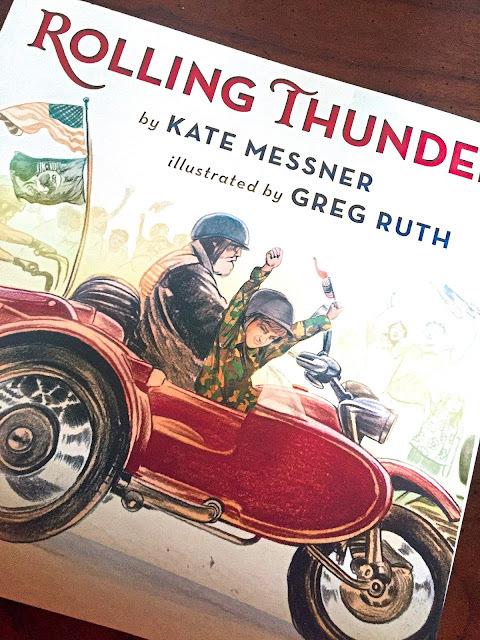 Every Memorial Day in Washington, DC, more than a million veterans and their supporters gather for the Rolling Thunder® Ride for Freedom, a demonstration that pays tribute to the men and women of the US armed forces. This lyrical story honors the bravery and sacrifice of those American heroes — the ones who have returned home, and the ones who haven't. 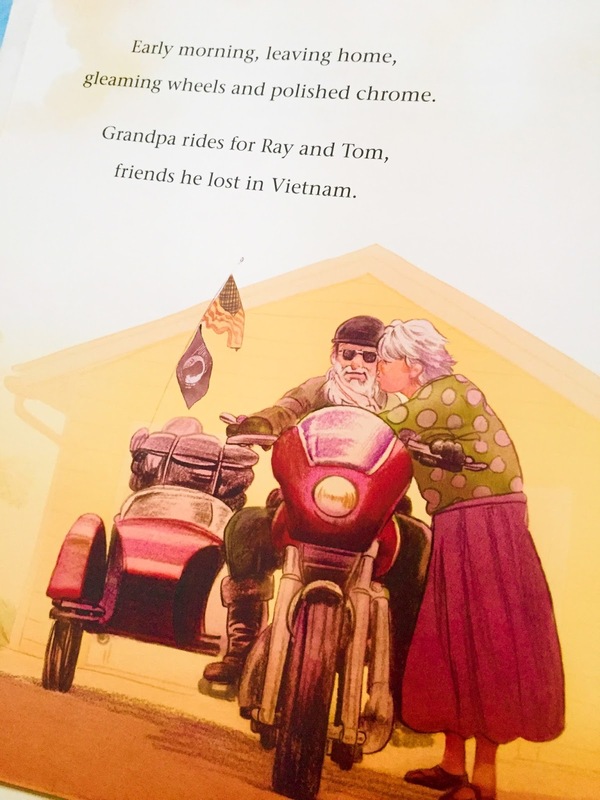 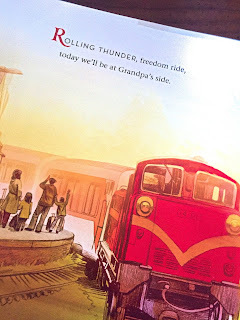 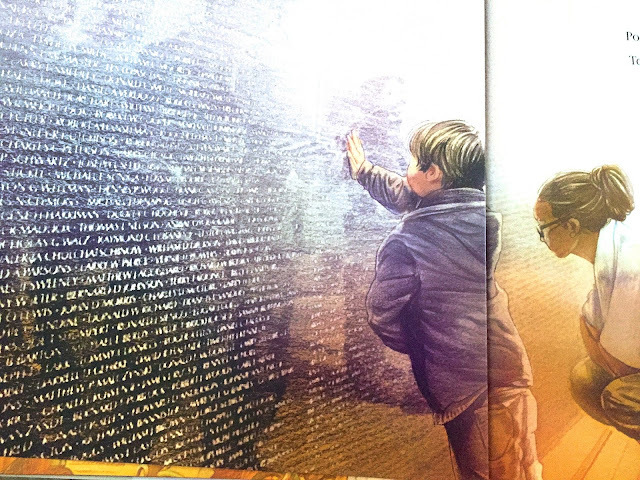 A wonderfully illustrated book set to a rhyming story that pays tributes to our Vets. We follow a boy and his grandfather as they meet up with other Vets. 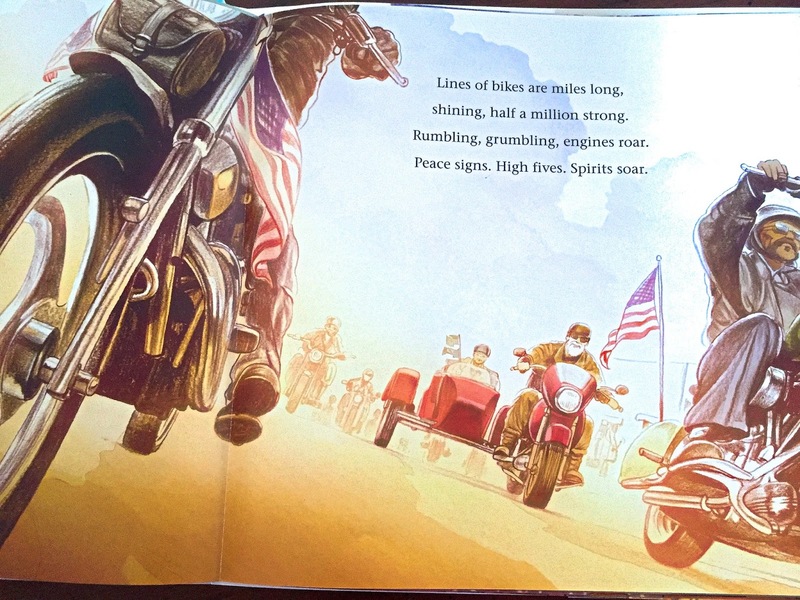 They share a meal, memories and then get some sleep before heading out to Washington DC for the Rolling Thunder Ride For Freedom a demonstration that honors American's veterans. 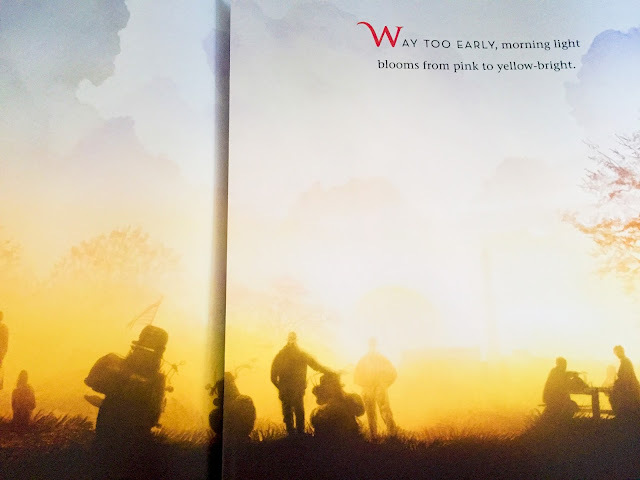 I find it amazing how this short book written for 4-8 years old's with muted pictures and colors is able to elicit such emotion. 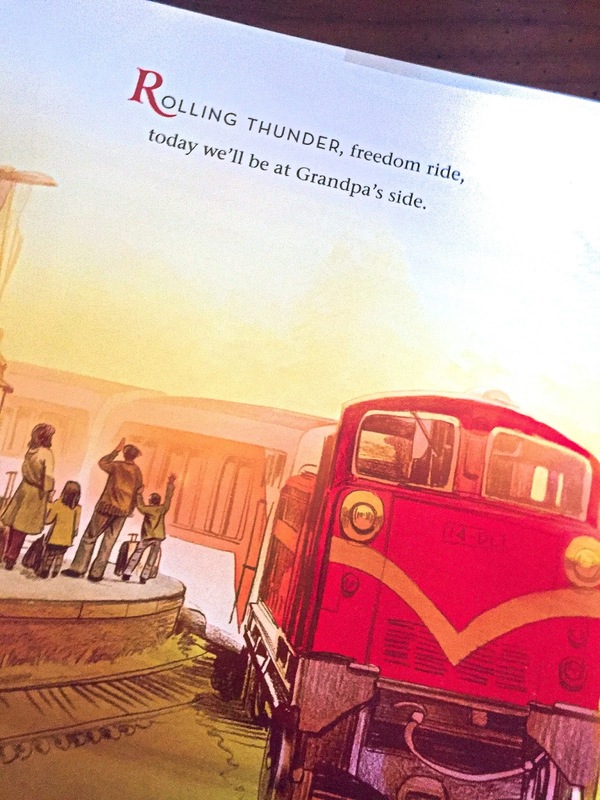 This is perfect for home or school to be read anytime but especially on Memorial Day. A wonderful way to pay tribute and support those who have fought for our country.